Making the move over to another country to live is a thrilling and daunting decision. Before you take the plunge, there are a number of things that you will want to consider. And one of the biggest ones is certainly money. While you are used to the way things work in your home country, you will likely be going to a place that plays by a whole different set of rules. With this in mind, here are four financial steps to take before moving abroad. First of all, you can get a whole load more information if you speak to a financial advisor who has cross-border expertise. If you are planning on managing your own finances, you need to know about the pitfalls which are in front of you. It is worth asking about taxation, estate planning and any real estate concerns you may have. Also, you don’t want to encounter any potentially costly legal issues so you may need to find the best immigration lawyer for your individual situation. The longer you live in a place, the more used to their way of doing things you will get. There are a whole host of costs which are associated with moving abroad including accommodation, flights, visas and legal fees. If it is possible, you will want to pay off your debts before you go so you can relax in the knowledge that you are starting with a blank slate. A good rule of thumb is to take half as much stuff as you think you will need. Moving a lot overseas can be expensive and you will probably arrive to find that you don’t need a lot of it. You can also sell items to make yourself some extra cash. You will want to hold a bank account in your home country as well as one in your new host country. Make sure that you are able to transfer between the two accounts easily and that you have a supply of money in both. Establishing a bank account in your new country helps you to stick with their currency without having to encounter the hefty fees which are naturally associated with converting cash. The cost of living varies wildly from country to country, so it is worth looking into how far your salary will stretch once you get there. If you are planning to move as a digital nomad and will be getting paid in your home currency, it is important to keep track of exchange rates as this will be a crucial factor to you. 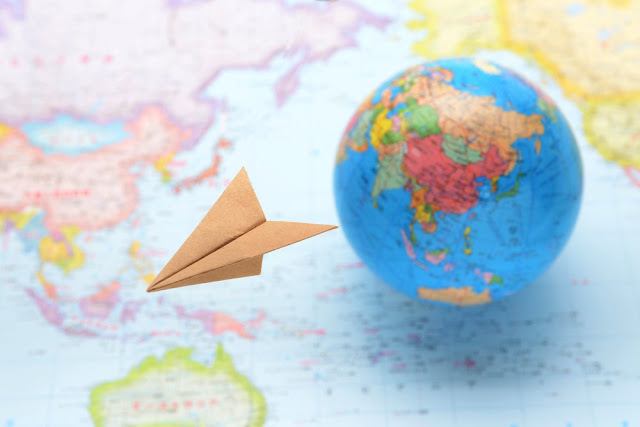 This guide provides you a brief financial starting point if you are planning on moving abroad. Essentially, it is all about planning and making sure you are well aware of the different costs that are associated with this move and how far your money will stretch once you arrive in your new country.